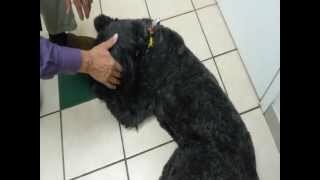 For more info http://www.manchesterwestvet.com. 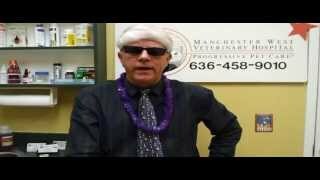 Doctor David Roberts from Manchester West Veterinary Hospital discusses feline arthritis and treatments for the disease. For more info http://www.manchesterwestvet.com. Doctor Matt Bechtel from Manchester West Veterinary Hospital discusses how to spot when your guinea pig is sick. For more info http://www.manchesterwestvet.com. 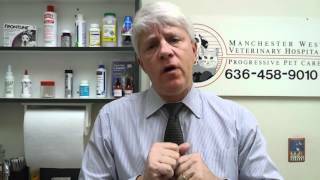 Doctor David Roberts from Manchester West Veterinary Hospital discusses Leptospirosis and treatments for the disease. For more info http://www.manchesterwestvet.com. Doctor Matt Bechtel from Manchester West Veterinary Hospital discusses separation anxiety in dogs in part one of our three part series. For more info http://www.manchesterwestvet.com. Doctor Matt Bechtel from Manchester West Veterinary Hospital discusses separation anxiety in dogs in part two of our three part series. For more info http://www.manchesterwestvet.com. 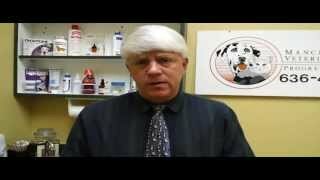 Doctor David Roberts from Manchester West Veterinary Hospital discusses traveling with your pet. For more information http://www.manchesterwestvet.com. Did you just get a new kitten? Watch Doctor Mary Stauder from Manchester West Veterinary Hospital explain the best way to help train your new kitten. 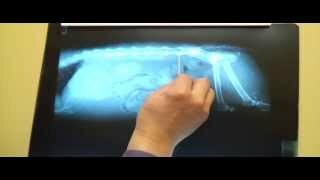 For more information http://www.manchesterwestvet.com. Did you just get a new kitten? 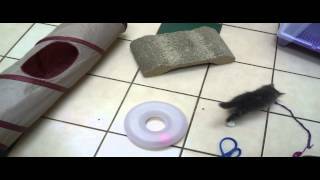 Watch Doctor Mary Stauder from Manchester West Veterinary Hospital explain the best way to play with your new kitten. 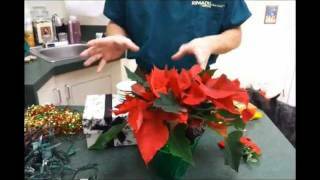 For more information http://www.manchesterwestvet.com. Did you just get a new kitten? 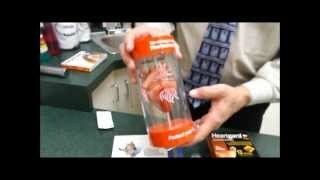 Watch Doctor Mary Stauder from Manchester West Veterinary Hospital explain the best way to help socialze your new kitten. For more information http://www.manchesterwestvet.com. Did you just get a new kitten? 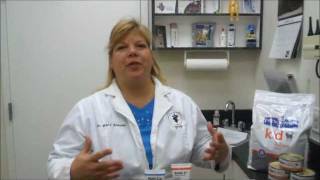 Watch Doctor Mary Stauder from Manchester West Veterinary Hospital explain the best medical care for your new kitten. For more information http://www.manchesterwestvet.com. 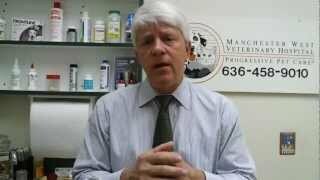 Watch Doctor Matt Bechtel from Manchester West Veterinary Hospital explain the best way to help your dog through separation anxiety. 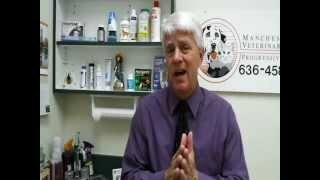 Visit our website http://www.manchesterwestvet.com. 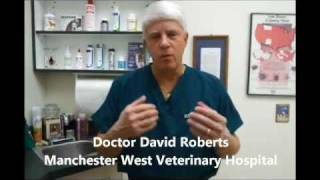 Manchester West Veterinary Hospital expert Doctor David Roberts discusses heartworm disease in dogs and cats. 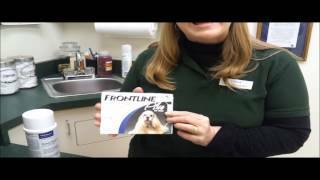 He explains recommend procedures for preventing the disease in dogs and cats. Visit our website http://www.manchesterwestvet.com. 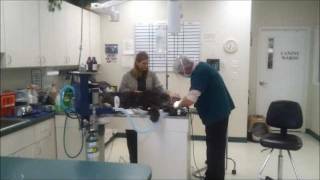 Doctor Matt Bechtel from Manchester West Veterinary Hospital shows us how to perform range of motion exercises in dogs recovering from surgery. This is part 2 of a two part series. Visit our website http://www.manchesterwestvet.com for more information. 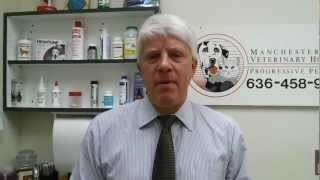 In part one of our four part series on skin problems in pets, Doctor David Roberts of the Manchester West Veterinary Hospital looks at an overview of skin problems in dogs and cats. Go to http://www.manchesterwestvet.com for more information. 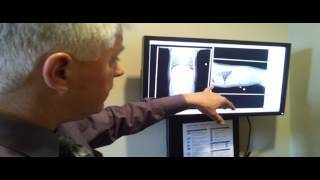 Doctor David Roberts from Manchester West Veterinary Hospital talks about the forms and treatment of cancer in animals.